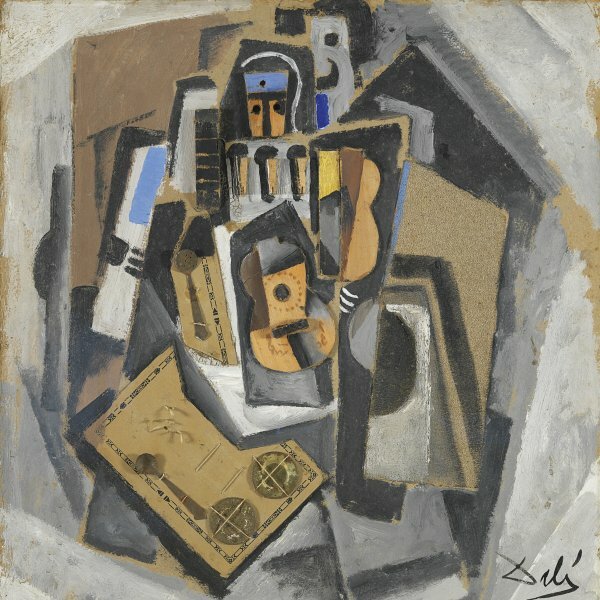 Like the work of many of his contemporaries, Bomberg’s painting underwent a transformation during the years immediately after the Great War. 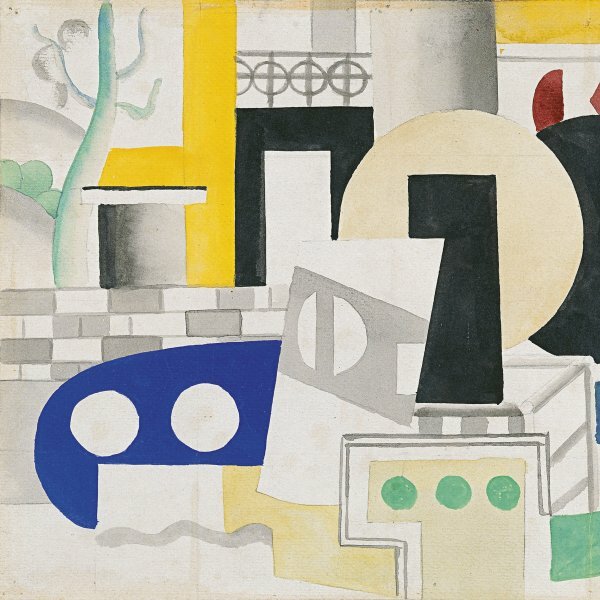 The precise, abstract geometry of his early works gave way to a more dynamic, agitated structure that hinted at certain unrest. This new style is particularly apparent in a series devoted to the bargees of London’s canals, which was shown at the Adelphi Gallery in London and in the London Group Exhibition of 1919. 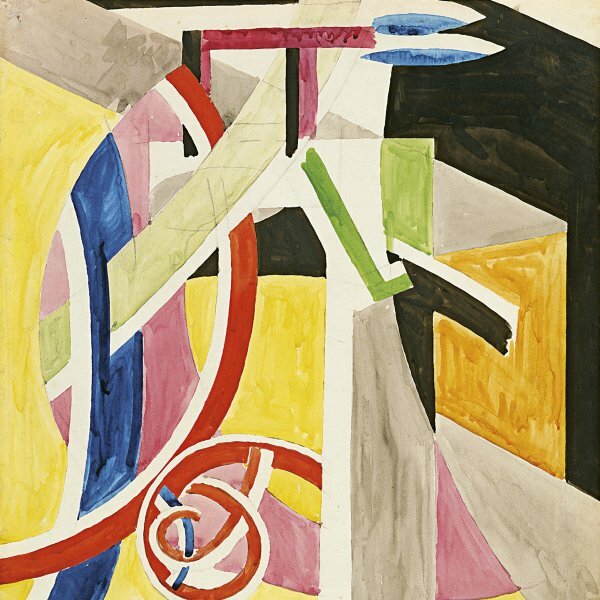 The sketchy, impastoed technique and dull palette of the Bargee (Mother and Child) belonging to the Thyssen-Bornemisza collection prefigures the Expressionistic style of his final period, although the rigid, geometrised composition is closer to his pre-war abstract works. 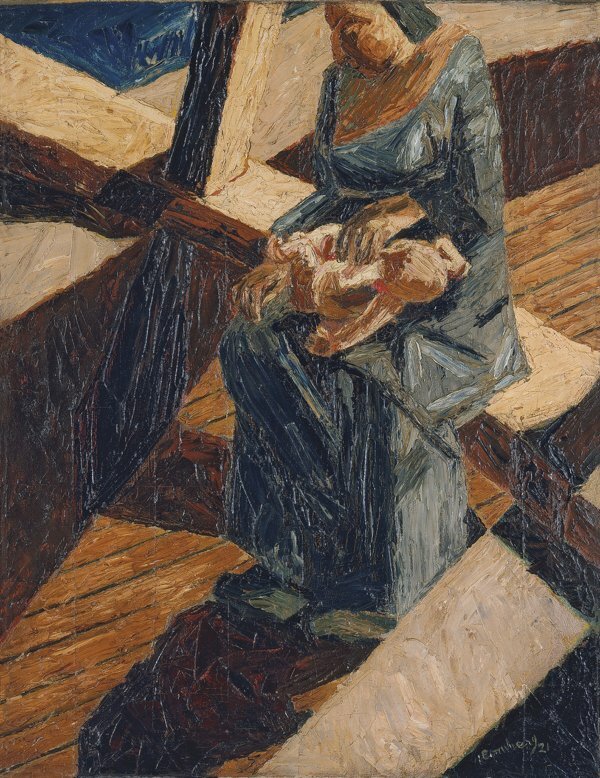 The bird’s eye view of the woman with a baby on her lap, in a stiff pose as if both were imprisoned on the barge, and the deep melancholy he succeeds in conveying attest to Bomberg’s interest in underprivileged members of society.